Inalsa Travel Hair Dryer is compact and durable with a thoughtfully designed body. Its 2 heat setting technology provides you better care while you effortlessly style those strands. Speed and heat required for the styling can be easily adjusted to create the perfect results with this tool. Another important feature of this hair dryer is that it comes with a concentrator for spot drying. You do not need to worry about over heating as it comes with a over heating protector. For ease of storing it is provided with a foldable handle, so this hair dryer can fit small places too. Hanging loop is also provided so you can even hang it. It creates the optimum level of airflow and gentle drying power, for beautiful results every day. Explore the entire range of Hair Dryers available on Nykaa. 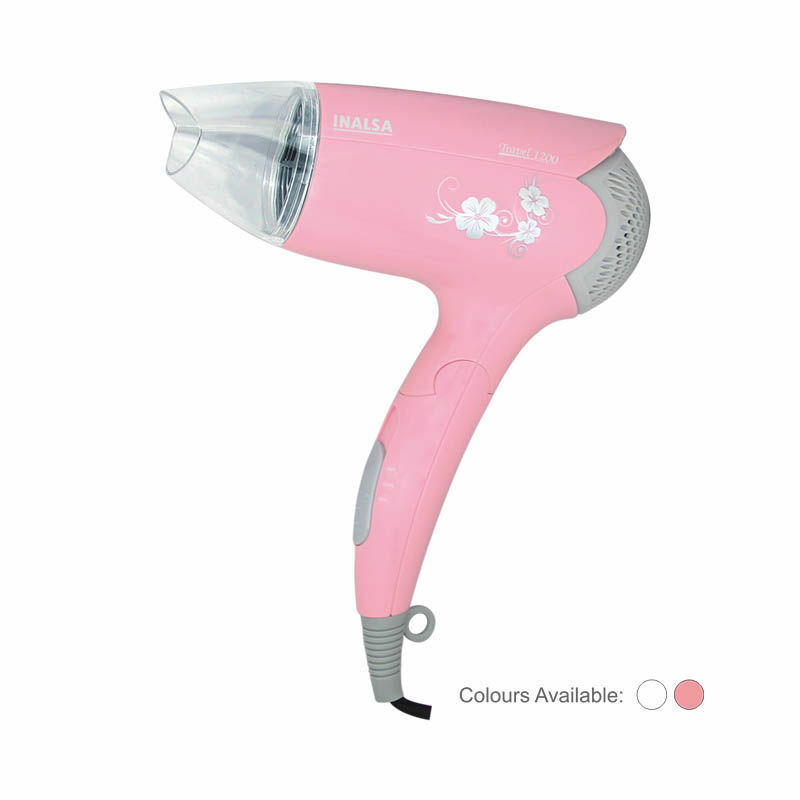 Shop more Inalsa products here.You can browse through the complete world of Inalsa Hair Dryers .